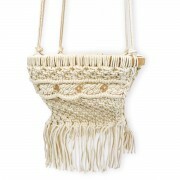 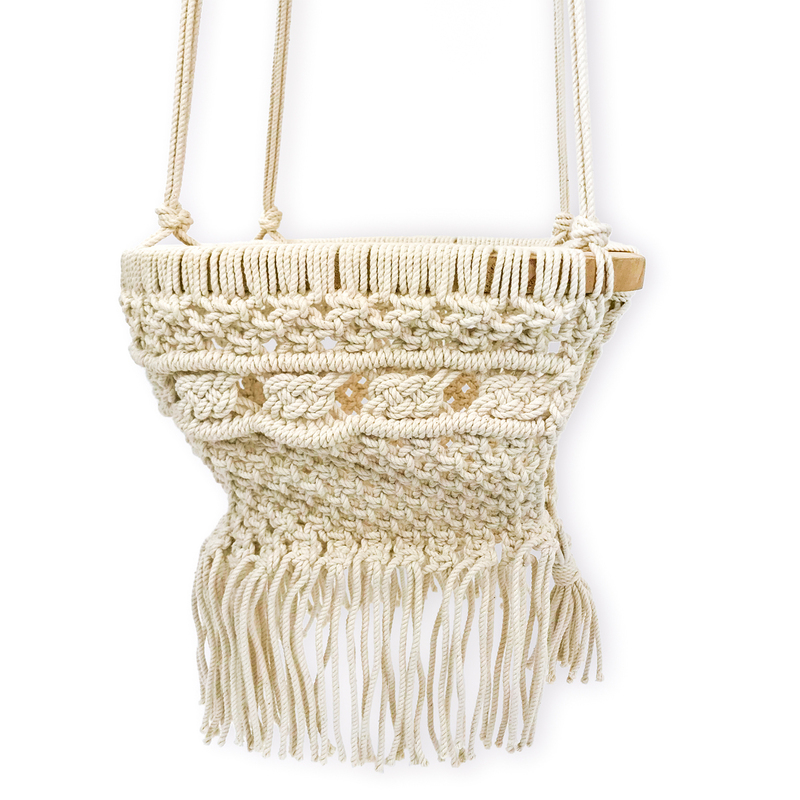 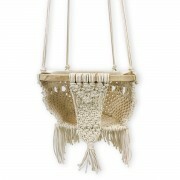 The Finn & Emma Macrame Swing is handmade by artisans in India. 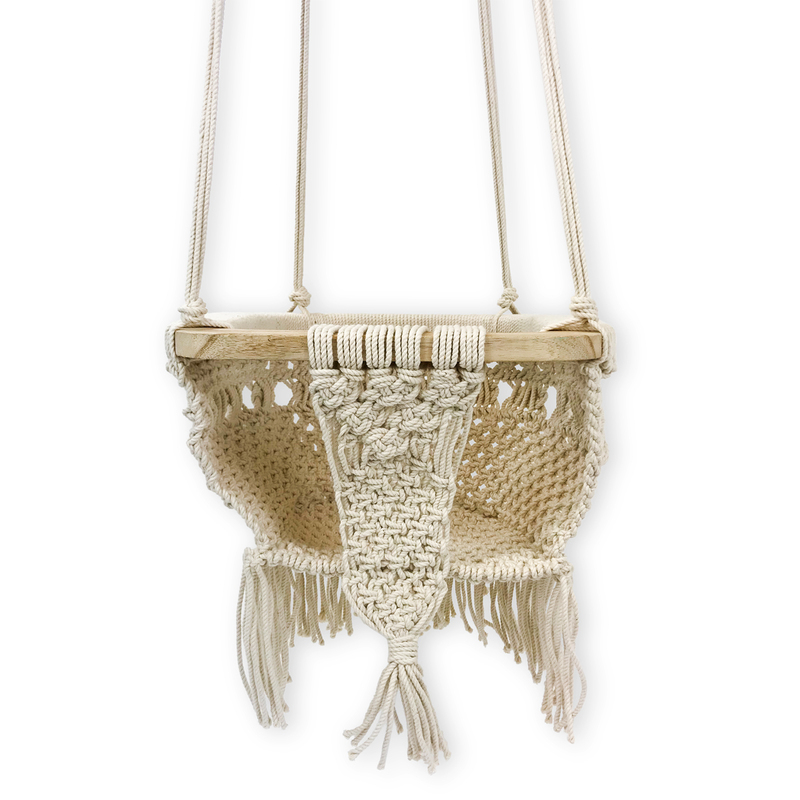 Not only will keep your little one entertained but the textured patterns and neutral colors will make it a beautiful addition to any room. 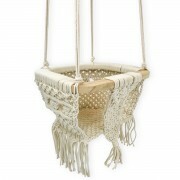 The swing can be hung from any secure beam both inside or out. 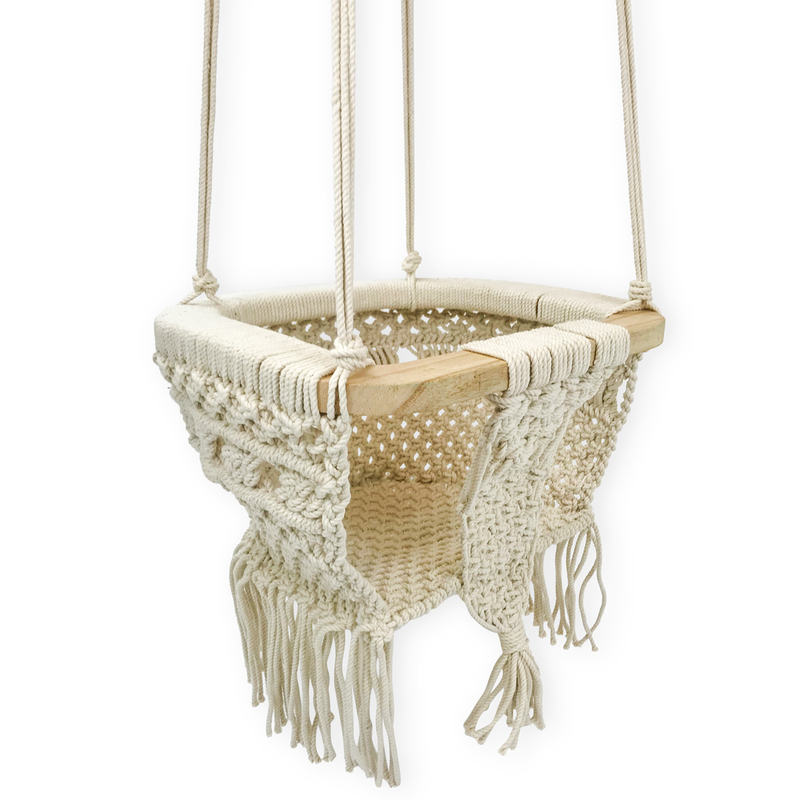 Appropriate for babies and toddlers up to 50 lbs.